· Question Regarding "Soundstage: An Evening In New York"
19th-May-2009 10:51 pm - Question Regarding "Soundstage: An Evening In New York"
This might be a silly question, but is the Soundstage DVD that's coming out on June 2nd just available at the official store? I can't find a listing for it on Amazon.com or PBS.org. 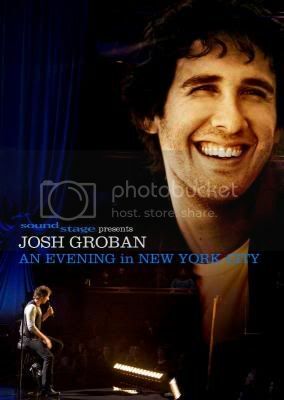 Josh's PBS Soundstage concert special will be available on DVD coming soon. Get your first look at the cover below. The DVD will be released on June 2nd, and will air on PBS on June 9th. Check back here for an exclusive pre-order.